From Main Street turn onto Maple Street. Stay straight and Maple Street turns into Maple Place. The Maple Place parking lot is at the end of the street on the right. Pick any available parking space. Please note: we will no longer be validating tickets from the Pearl-Elm garage. Click here to view a larger image of the map. 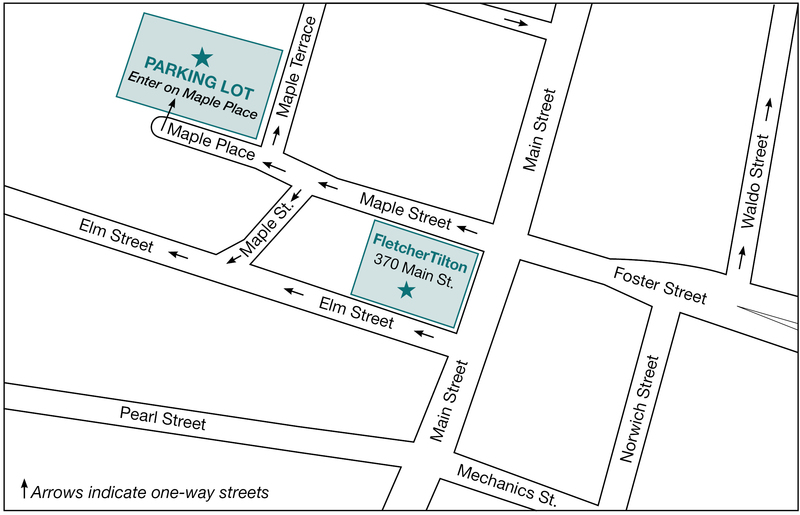 On-site, free parking is available at both our Framingham and Centerville offices.